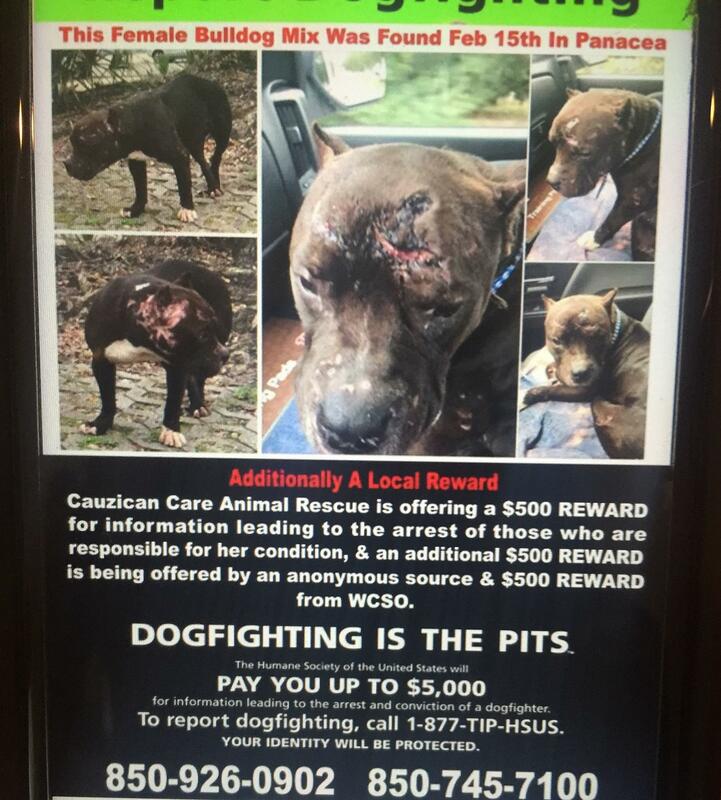 She’s a pitbull, and was spotted at a Panacea restaurant recently with dislocated hips, a fractured skull and bite wounds all over her body. The Humane Society’s dog coordinator Amy Radar says Tony is in bad shape. “We have to get some weight on her because she was extremely skinny an d we have to get some of those wounds healed. Then she’ll have surgery on her hip. She’s also heart-worm positive…and somewhere along the line, definitely after her hip surgery, she’ll be put up for adoption." But Radar says that’s a long way off. She suspects the dog may have been used as part of an animal fighting ring. The reward for information is up to $1,500. The Humane Society also has a separate and un-related problem: an influx of puppies. It's received three litters so far this week, ranging between five and eight puppies each. Some are in foster care, but Radar says there aren't enough homes and resources to meet every need that comes along and she's reminding people to spay and neuter their pets.